Vernacular Architecture originated when mankind was forced to make use of the natural resources around him. The humanistic desire to be culturally connected to ones surroundings is reflected in this harmonious Architecture but with time, this type of Architecture has been forgotten. However, due to recent rises in energy costs, this trend has made a somewhat of a comeback. 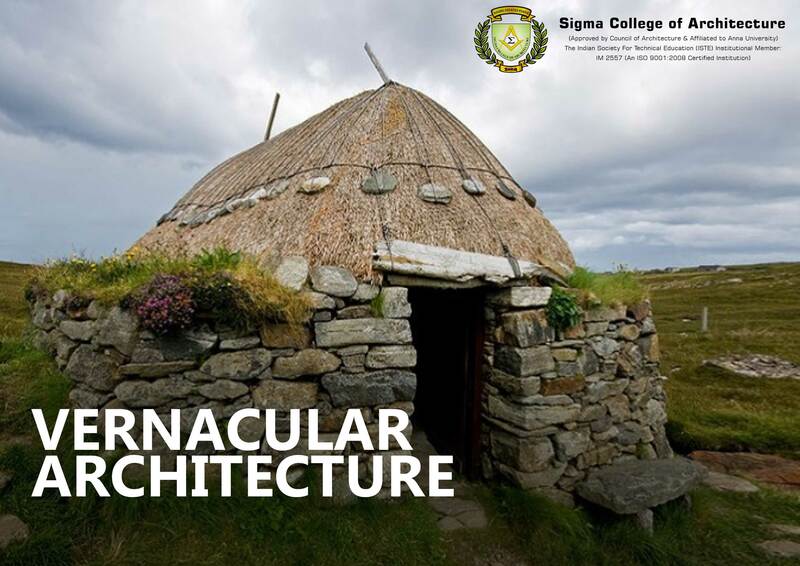 Vernacular architecture adheres to basic green Architectural principles of energy efficiency and utilizing materials and resources in close proximity to the site. These structures capitalize on the native knowledge of how buildings can be effectively designed as well as how to take advantage of local materials and resources. It provides a climate-responsive approach and forms a vital connection between man and environment. Here at Sigma College of Architecture, one of the Top Architectural colleges in South India we aim to instill knowledge of the past and employ these Architectural strategies as a well-balanced, methodical whole to achieve optimum energy efficiency in each building.